LONDON – Borough Market is London’s oldest food market and, hands down, my absolute favorite part of London. It’s called a “foodie’s paradise” because of its abundance of fresh and prepared food stalls, but wine, beer and merchandise are also on offer here. This was always my go-to spot to pick up my paella ingredients, as well as anytime I wanted to cook up a really special meal. Though visitors to London can’t necessarily take full advantage of the market’s wares (I, for one, don’t usually find myself cooking when I visit a city) it’s still worth a visit. 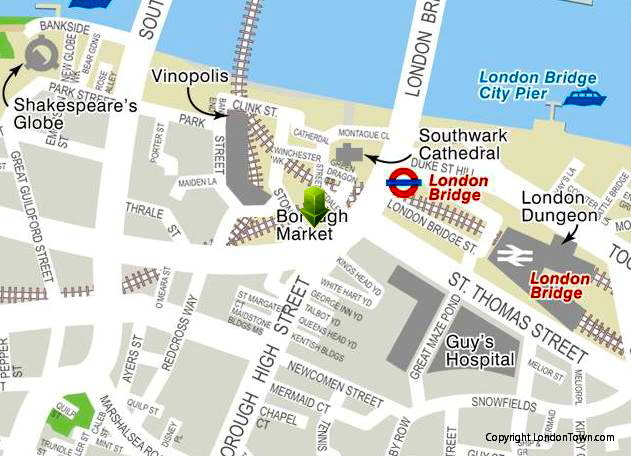 The setting is stunningly atmospheric – the market sits just steps away from Southwark Cathedral, the Thames is nearby, and the whole area exudes old-time Blighty charm. There is plenty of prepared food in the market to munch on (my personal fave is the burger at the Northfield Farm stall), and the surrounding streets are teaming with pubs, restaurants and shops. One thing, though: Saturday morning at Borough Market is a nightmare if you’re not a fan of crowds (a sentiment to which I can relate – crowds rank second only to bathroom attendants on my list of stuff I hate). The scene is a bit mellower if you visit during the week around noon on Thursday or Friday. Where is it? 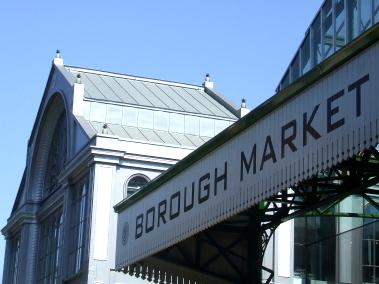 Borough Market is just south of London Bridge, a short walk from London Bridge Tube and Bus station. NOTE: the retail market is only open Thursday – Sunday.